In 1982, Michael Krasny spent $3 to run a three-day, three-line advertisement to sell a used computer. 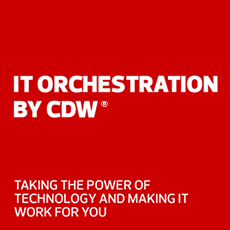 Th­at one ad became CDW, which today is a multi-billion-dollar IT solutions provider. Likewise, a single computer buyer became more than 250,000 customers, and every day, CDW helps deliver critical solutions to solve their increasingly complex IT needs. At CDW, everything we do revoloves around the customer.